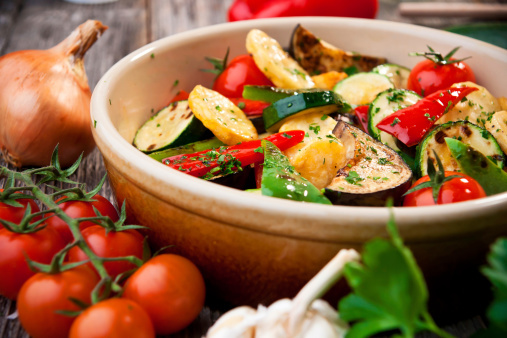 Roasted vegetables make for a hearty and healthy meal. This baked roasted vegetables recipe combines a dynamic blend of herbs to give a little more "WOW" to this delectable dish. In a medium bowl, toss ingredients in olive oil until covered. Place ingredients on a sheet of tin foil. Wrap tip foil around ingredients until secure. Place tin foil packet into preheated oven and bake for 30-45 minutes, or until vegetables are tender.